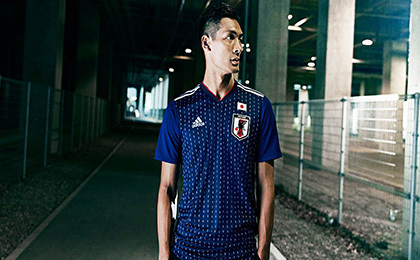 If you want to buy cheap japan shirt for 2018-19 season, buy it here in cheap-football.com , Check our exclusive range of japan Football Shirts / Soccer Jerseys and Kits for adults and children at amazing prices. Get the cheap japan jersey shirts, soccer kits with wholesale price, Free Shipping Worldwide! The Japan national football team represents Japan in association football and is operated by the Japan Football Association (JFA), the governing body for football in Japan. Japan is one of the most successful teams in Asia, having qualified for the last six consecutive FIFA World Cups with second round advancements in 2002, 2010, and 2018, and having won the AFC Asian Cup a record four times, in 1992, 2000, 2004 and 2011. The team has also finished second in the 2001 FIFA Confederations Cup. Their principal continental rivals are South Korea and most recently, Australia.Japan is the only team from outside the Americas to participate in the Copa América, having been invited in 1999 and 2011.